Someone asked me the other day why I was a Tourism Member as I wasn’t strictly a Tourism business and I wondered why they had asked such a strange question. You see when I first started The Food Purveyor 4 years ago we knew that there was a massive gap in the Tourism market where holiday makers were not able to source local produce. I knew this first hand as I had stayed in accommodation in Geelong and there was no information, no access to local produce and definitely nothing local in our room. Over the first 12 months we worked closely with our producers that we had scoured Farmers Markets finding and we worked with them to develop our range of hampers. We still focused on the Tourist Market in this first 12 months working closely with Accommodation providers developing in room Mini Bars, Guest Welcome Packs, Hampers on Arrival the list was endless. As we grew so did some of our producers and with that growth came complexity to their and our businesses. We needed to work closely with these producers to ensure that they could meet the growth – not just in supplying the product but also the increase in demand on their supplies, staffing, labelling requirements, social media, costing items correctly if I purchase 1 jam how much is that but if I purchase 1,000 jams each month how much is it then. So I suppose back to the original question – we are definitely a Tourism Business. Why? Our producers make and grow their produce right here in our region, we purchase these products and sell them in hampers, gift packs, mini bars, welcome packs in accommodation locally and further afield. 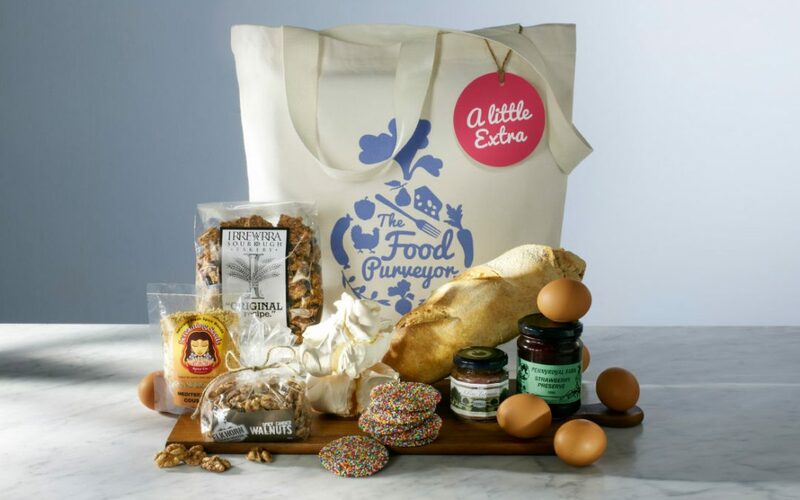 The Food Purveyor has obviously evolved from being a provider of hampers locally to providing hampers to some of the largest retailers in the country. We are loud and proud local when we sell these concepts to the retailers we talk about our region about the bounty of produce from food and wine to seafood but mostly we talk about the amazing holidays to be had here. At the end of the day for us to continue the love affair with the region we need to continue to source and procure produce from our region we need to sell it nationally but we all need to purchase and love locally.